Maybe you already maintain your passwords in a text file, a spreadsheet, or even a supposedly "secure" website. It is extremely unlikely that your methodology is truly secure. You may not even trust it enough to enter all of your passwords. 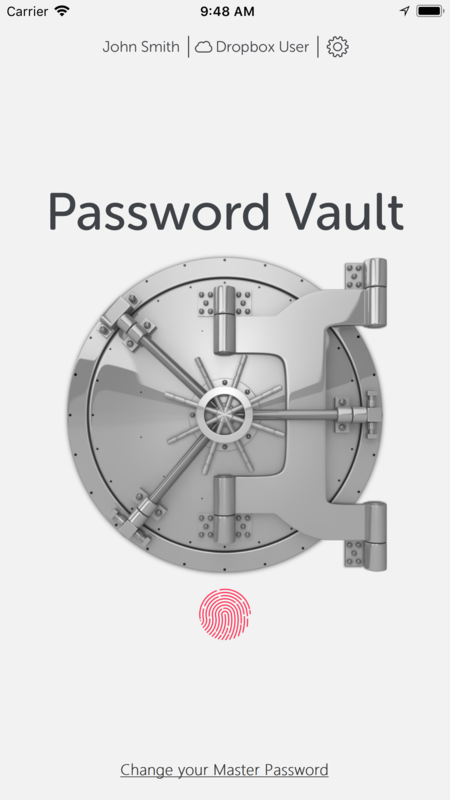 Rest assured, our "Password Vault" uses the most advanced encryption techniques in the world. First and foremost, your passwords are SECURE here! You simply need to provide a single "Master Password" that itself is not stored on your device or in the cloud and it doesn't travel over the internet. Question: Why should I store my important passwords online when so many sites with personal data have been broken into? Answer: Military-grade encryption - even if the site is broken into, your data is protected. Question: What if I cannot connect to the internet? 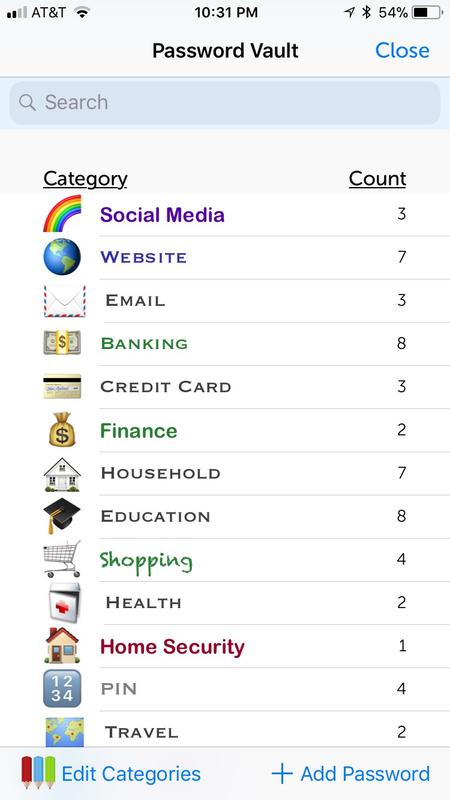 Answer: Data is also stored in iStratus on your mobile device. Question: What if my mobile device is lost or stolen? Answer: Data is encrypted and stored in the Cloud/Dropbox. Question: Why shouldn't I just write a long list of important passwords/numbers on a piece of paper and store it in a safe place at my residence? Safety: Anything "physical" can be lost, stolen, burnt up, flooded, or blown away. Accessibility: We live in a mobile society and we are not always at home when critical information is needed. 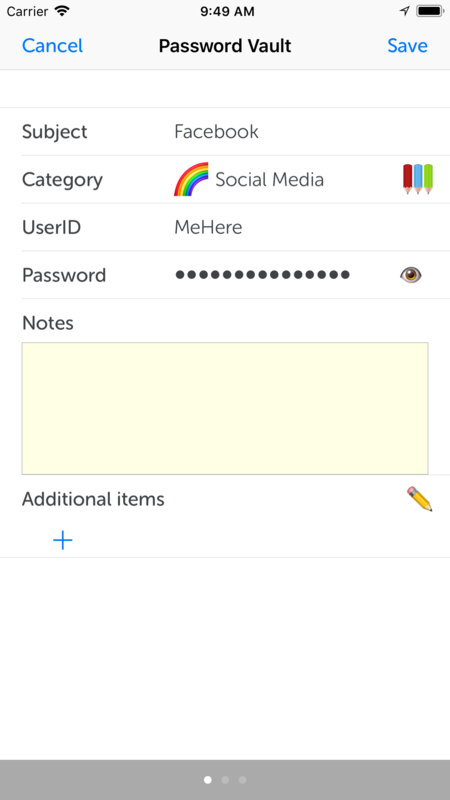 Convenience: Ease of adding or changing new accounts, passwords, important numbers, etc. Question: What if I lose or cannot remember my Master Password? Answer: Well, yes, that is a problem! Fortunately, iStratus will prompt you to email yourself your hints. Also, there is a backup/recovery process that may be able to come to the rescue. Question: What if I am incapacitated and my family needs access? Answer: We recommend that some family member knows your Master Password.